For the last four weeks the county council has been tearing up and relaying the pavements on the street which is home to the glassworks that keeps me busy during the day. We’ve got used to the workers now, we’ve given them hot water for tea when their cabin generator wouldn’t work, they’ve patched some potholes on the edge of our car park to make up for the inconvenience of their work. On Thursday last week they put the top layer of tarmac on a section of path and were rightfully miffed the next morning to see workers belonging to a utility company attacking their less than 20-hour old pavement with a circular saw. And so it is now, a perfect stretch of path with a cut out bulge of dissimilar tarmac halfway along it like some kind of scab on the landscape. It’s a long-standing joke in this country that as soon as a road is resurfaced a utility will come along and dig it up again but in my experience this is a record. It’s also ridiculous in these days, just a few days earlier they wouldn’t even have had to dig up any tarmac. 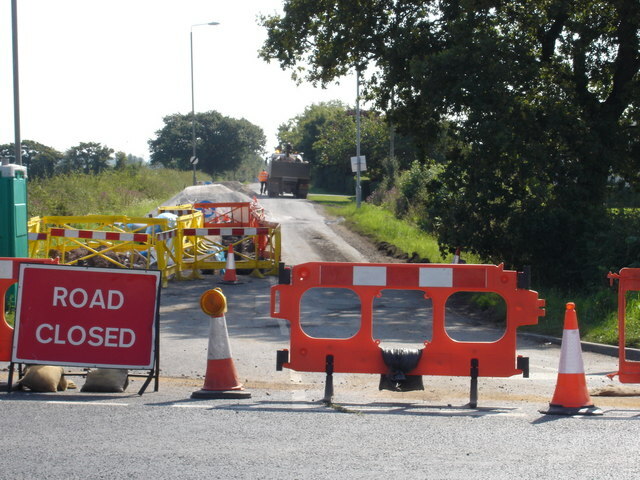 Surely with that mysterious thing called the Internet some kind of magical central database of roadworks could be maintained so that the likes of Gas and Electricity companies can tweak their schedules to drop pipes and cables into already bare roads. Going even further, as my dad suggested when I mentioned this to him, when major works are carried out – replacing main drains etc, why not include conduits for current and future services in the same hole? The answer is probably because creating such resources would cost far more than necessary and be outdated by the time it arrives – designed to run on that latest Microsoft OS, Windows XP I think it is, that’s the future. Erm, wait, what?